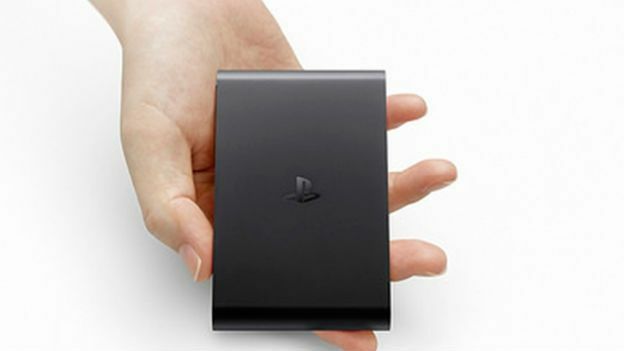 Sony has exclusively confirmed to T3 the UK price of the PlayStation TV its forthcoming micro console/media streamer. Sony has confirmed to T3 that the UK price of the PlayStation TV micro-console will be £84.99 when it is released here in the autumn. T3 got some time with the new console, which is now available in black and was previously titled Vita TV, over in Los Angeles for the E3 convention. According to Sony, the device will retail for€99 in Europe and is fuelled by Sony's PlayStation Now streaming service which launches in the States on July 31. As well as offering a budget doorway into Sony's impressive gaming catalogue and the ability to stream PS4 games, the device will also function as a set top box or media streamer to equal the likes of Google's Chromecast. Unfortunately, in the UK, the device won't come bundled with a DualShock 3 controller - unlike Japan. It is, however, compatible with the PS4's DualShock 4 controller. T3 managed to grab a quick hands-on with PlayStation Now at the Tokyo Games Show last year when it was first announced, you can read our thoughts about it here.